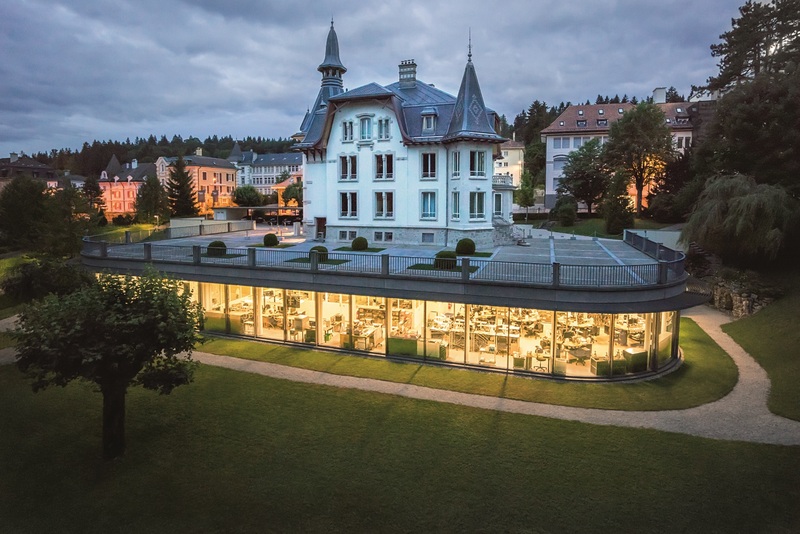 Montblanc has every rung of quality horology covered, from simple, accessible pieces, practical complications like GMT and worldtimers to more esoteric creations… This year, Montblanc celebrates its 110th anniversary and spearheading the celebrations are watches from its 4810 collection’s “110 Years Editions”. For REVOLUTION USA’s editor-in-chief Keith Strandberg, 4810 is the collection to watch, and the Twinfly Chronograph is his pick of the lot for quality and value. Very well priced, and arguably the better way to read a chronograph: instead of the traditional mini-counters, two central chronograph hands are used to denote the elapsed minutes (red gold) and seconds (blue). 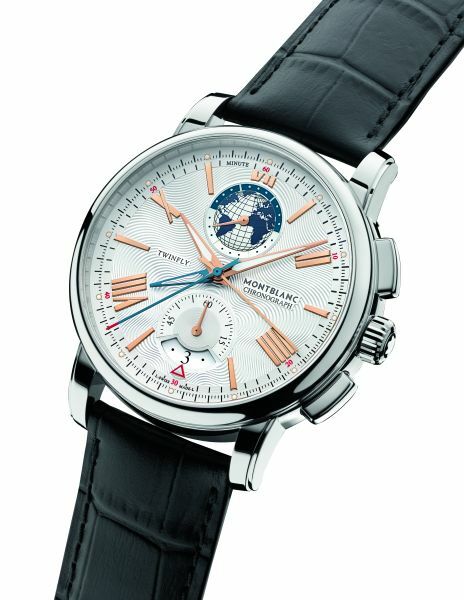 A skeletonised hand indicates a second time zone while day/night indicator is an attractive globe at ‘12’, with running seconds and date at ‘6”: everything’s clearly, elegantly laid out. 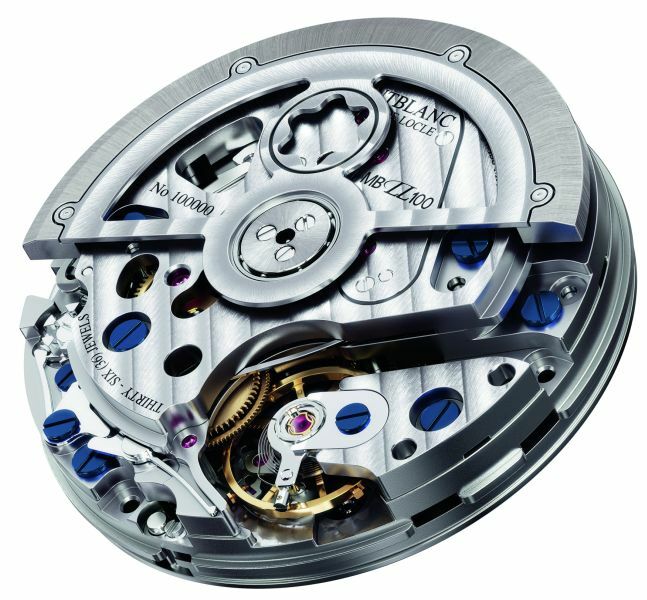 Self-winding flyback chronograph with central chronograph hands, GMT, date, 72-hour power reserve. 43mm steel case water resistant to 50m. Limited to 1,110 pieces. 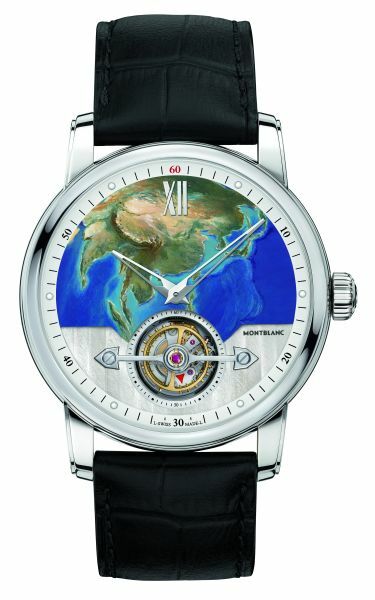 Three versions are available, with hand-painted map of Asia, Europe and USA, in a limited edition of 110 pieces, comprising 38 pieces painted with the map of Asia, and 36 pieces each for Europe and USA. 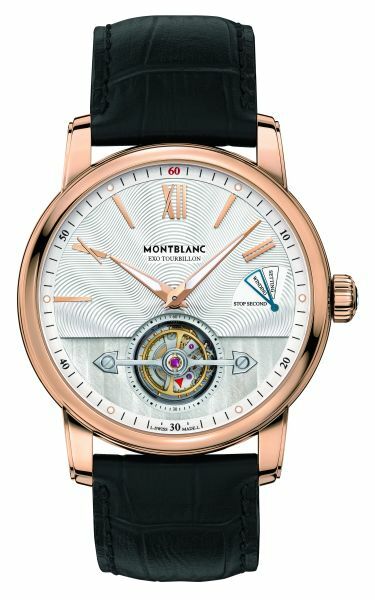 Self-winding tourbillon movement with stop-second mechanism and 50-hour power reserve. 42mm white gold case. Two models were introduced for this collection, a very handy chronograph with annual calendar and a very handsome and slim bicompax date. 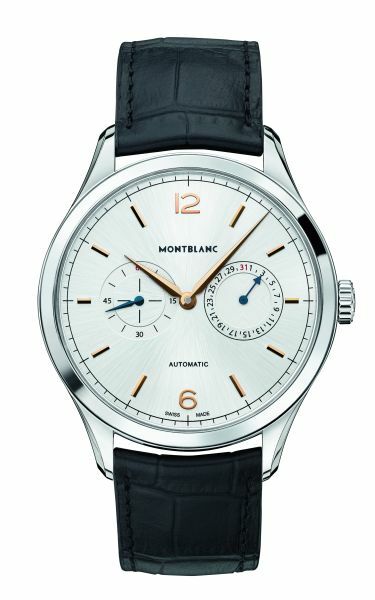 Twincounter Date: Self-winding movement with 38-hour power reserve; small seconds and date in subdials. 40mm steel case, water resistant to 30m. Price 2,850 euros. 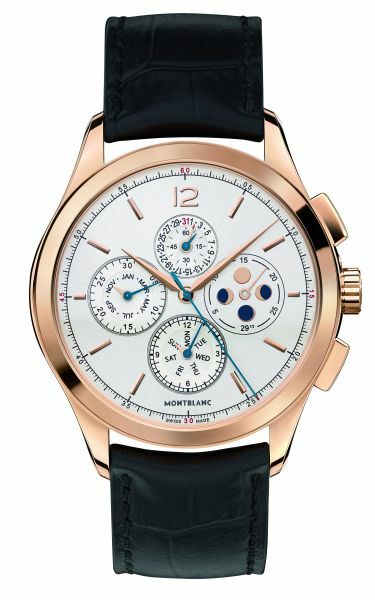 Chronograph Quantième Annuel: Self-winding chronograph movement with annual calendar and moon phase, 42-hour power reserve. 42mm red gold case. 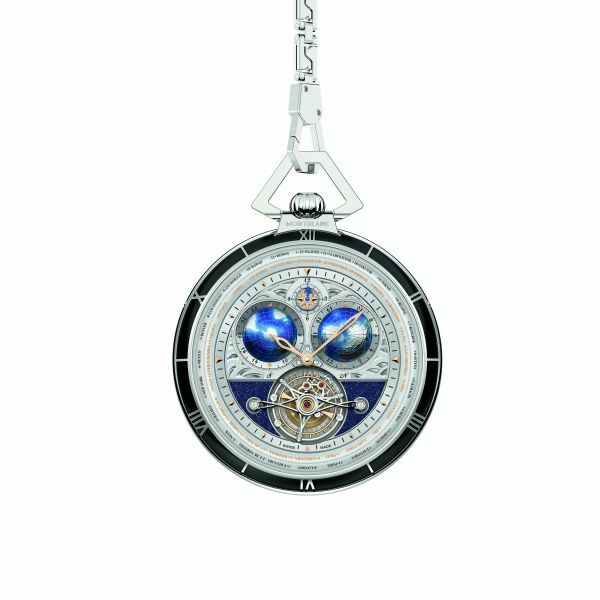 Price 18,900 euros. 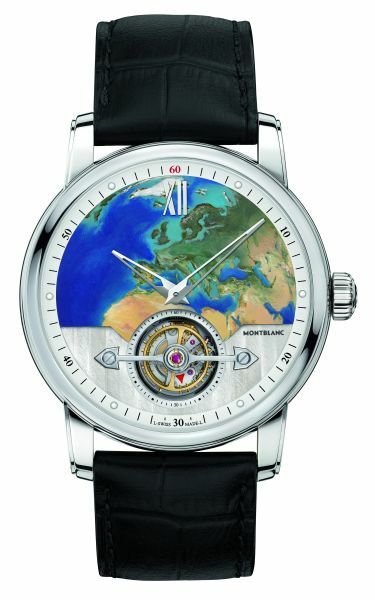 For the first time, Montblanc’s ExoTourbillon makes it into its modern TimeWalker collection. It’s a coming together of classical and club music that somehow works. Limited to 100 pieces. 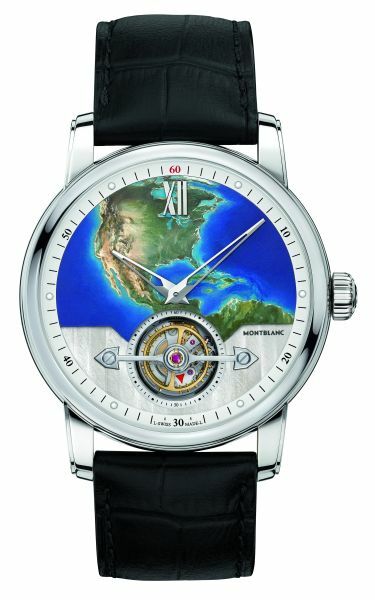 Self-winding ExoTourbillon movement with stop-second feature, monopusher chronograph, rapid setting of hour hand and date when crossing time zones; 50-hour power reserve. 44mm titanium-carbon fibre case. 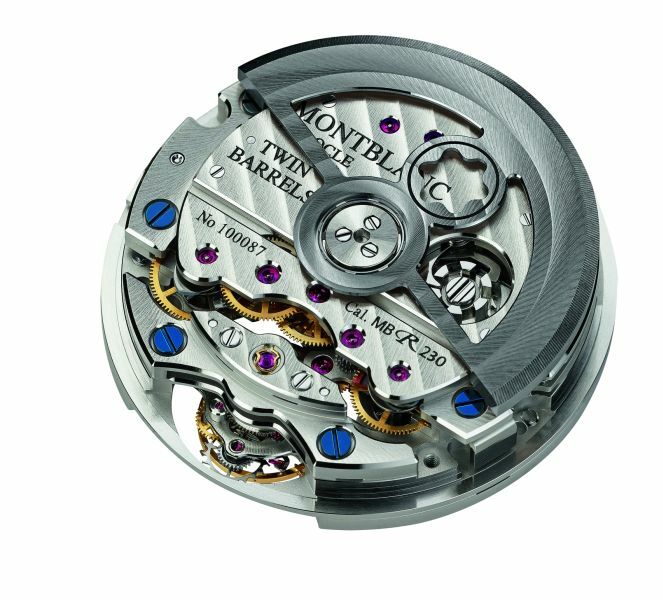 The Villeret collection is where Montblanc flexes its artisan craft as far as it would go. 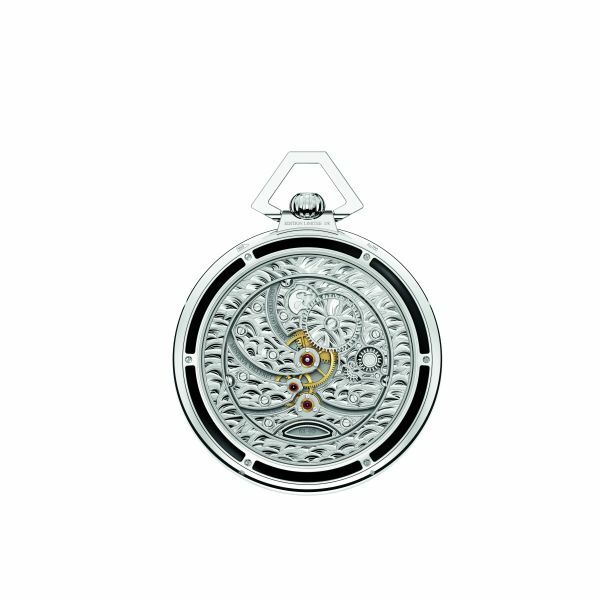 For 2016, this arrives in the shape of a pocket watch tourbillon with cylindrical hairspring, which gave marine chronometers of yore the precision that sailors needed, to find their position at sea. 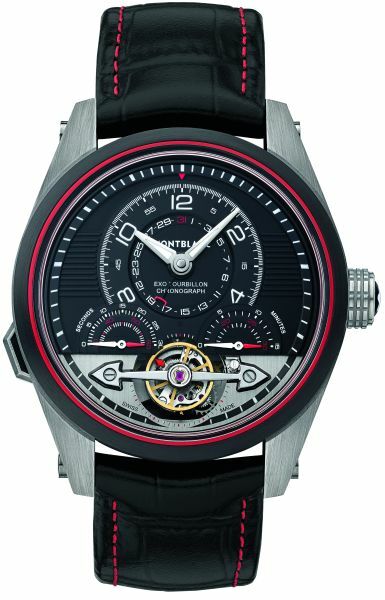 Manual-wind one-minute tourbillon with cylindrical hairspring, triple time zone indication, 48-hour power reserve. Limited to 8 pieces.